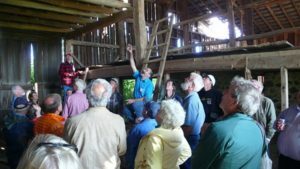 The Michigan Barn Preservation Network has established an endowment fund at the Capital Region Community Foundation. 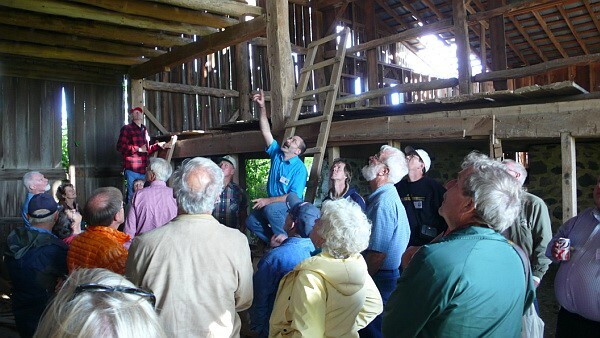 Your current and deferred gifts to the endowment will benefit the Michigan Barn Preservation Network for generations to come. 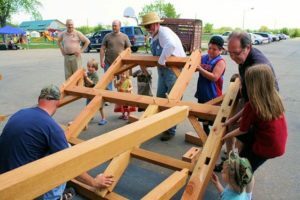 When someone makes a gift to The MBPN Endowment Fund at the Community Foundation, it is permanently invested to grow over time. Earnings from our fund are used to support the outreach and education activities of MBPN. Because endowments are permanent, they benefit our community forever. Making gifts to our endowment fund can help you create your personal legacy. A donation to the endowment provides you with the maximum tax deduction allowed by law, since the foundation is a 501(c)(3) organization. Seek tax counsel from your CPA for specific advice on your situation. Because the 2017 Tax Law changes have doubled the standard deduction and limited certain itemized deductions to charitable giving, many taxpayers can no longer itemize charitable deductions on federal and state returns. If you are 70 ½ or older, you can make direct gifts from your IRA in the form of a Qualified Charitable Distribution (QCD) as part of your annual Required Minimum Distribution (RMD). While there is no charitable deduction for such a gift, you will avoid payment of tax on the amount of the required minimum distribution that you give to any nonprofit/501c3 organization. Such a gift must come directly from your IRA administrator to the Michigan Barn Preservation Network (P.O. Box 614, Mt. Pleasant, MI 48804-0614). Contributions of appreciated property can be deducted at their full market value. Appreciated assets given to a fund at the Community Foundation are free of capital gains taxes. No tax is owed on the growth of assets in our endowment fund. We also encourage you to consider naming the MBPN Endowment Fund as a beneficiary in your will or estate plan. Always review tax advantages with your accountant and attorney when considering charitable giving. The Capital Region Community Foundation (330 Marshall St, Lansing, MI 48912) manages the MBPN Endowment Fund along with 400 other charitable funds created by individuals, families, businesses and organizations. Having the MBPN Endowment Fund at the Community Foundation gives donors confidence that their gifts will be well-managed financially, with a consistent focus on growth of principal and generation of income for our use. Contact the Foundation at (517) 272-2870. For more information about making a direct gift to MBPN or through the Capital Region Community Foundation, contact our treasurer, Clare Koenigsknecht, at clarek13@gmail.com or call 989-593-2351.